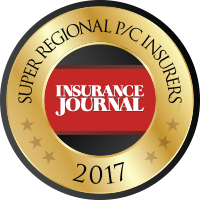 To become the most valuable commercial insurer in our marketplace. It's our mission to build enduring relationships with our customers by providing exceptional service and value. Our customers should always be treated in the same manner that we would want to be treated. The service we provide is critical to our policyholders and the well-being of society as a whole. Innovation and continuous improvement are vital. Earning a profit is necessary and contributes to the financial security we provide our customers. Honesty, fairness and integrity in life and in business are essential. In being responsible corporate citizens. Contact your local agent today to find out how our policies can meet the unique needs of your business.